Creelman, James (12 Nov. 1859 - 12 Feb. 1915) journalist, was born in Montreal, Canada. He was the son of Matthew Creelman, a boiler inspector, and Martha Dunwoodie. Creelman attended Montreal's Royal Arthur primary school prior to leaving home for New York in 1872. In New York, Creelman attracted the attention and patronage of the prominent divine Thomas De Witt Talmage with whom he studied at the Lay Theological College and Republican Party boss Roscoe Conking who tutored him in the law. Reverend William Muhlenburg likewise counseled the young man and found him his first employment in the print shop of the Episcopalian Church newspaper Church and State. During a later stint in the print shop of the Brooklyn Eagle, editor Thomas Kinsella discouraged Creelman from becoming a poet. Undaunted in his determination to become a writer, Creelman joined James Gordon Bennett Jr.'s New York Herald in 1876. Creelman's journalistic technique developed quickly and was marked by extensive travel in pursuit of stories coupled with a willingness to take great personal risks. He traveled the Yellowstone and Mississippi river systems with adventurer Paul Boyton, was shot at while reporting on the Hatfield/McCoy feud, interviewed Sitting Bull as well as other Native chiefs and broke his arm while making one of several balloon ascents. Despite the absence of bylines in the Herald of that period, several of Creelman's articles brought him to public attention provoking controversy together with legal and legislative action. An 1879 New York Herald article documenting illegal ocean dumping off New York prompted a court trial featuring the young reporter as the star witness. An 1883 feature on the Broadway railway fraud likewise resulted in legal action while an 1888 expose of the immigrant recruiting practices of steamship companies resulted in a Congressional hearing at which Creelman played a major role. By 1887, Creelman was editing the Sunday Herald while writing editorials for the daily Herald. In 1889, James Gordon Bennett Jr. ordered Creelman to take charge of the floundering London edition of the Herald. Failing to salvage the paper, he took up duties with the Paris Herald during the following year. While writing for the Paris Herald, Creelman developed as an interview journalist with a preference for difficult and allusive subjects. He secured interviews with, among others, Louis Kossuth and Leo Tolstoy. He was the first English speaking non-Catholic reporter to interview the Pope, Leo XIII. During this period, Creelman also investigated the Mafia for his paper and the United States Department of State. In 1891, Creelman briefly assumed the editorship of the Herald's late edition, the Evening Telegram later returning to the Herald, where, among other assignments, he was dispatched to Haiti to report on its politics and culture. On December 10, 1891, James Creelman married Alice L. Buell of Marietta, Ohio, an artist and society writer with the Paris Herald. They had three children; James Ashmore, Constance Alice and Eileen Buell. In 1893, Creelman wrote a series of articles for the Herald championing the music of Antonin Dvorak who was then Director of the National Conservatory of Music in New York. His articles discussed the possibilities of an 'American school of music' and Dvorak's newly completed Symphony No. 9 From the New World. Creelman attended the premiere of this work with the composer at Carnegie Hall. In 1893, Creelman left the Herald and worked briefly for Illustrated American and Cosmopolitan magazines, attempting unsuccessfully to establish a London edition for the latter publication. Creelman was hired in 1894 by Joseph Pulitzer's New York World to cover hostilities between Japan and China. Accompanying the Japanese Army, he reported on the aftermath of hostilities at Pyongyang, the Yalu River naval engagement and interviewed the King of Korea. At one point, Creelman disappeared and was reported beheaded by the Chinese. However, it was Creelman's coverage of the battle of Port Arthur and his claim of atrocities committed by Japanese soldiers, with whom he initially sympathized, that gained him substantial attention. Though his story was supported by Pulitzer and subsequently verified by fellow journalist Julian Ralph and others including the Japanese Foreign Minister, Creelman's graphic account of widespread slaughter was initially disbelieved and roundly denounced by many American newspapers including the Herald. Creelman continued writing for the New York World through 1896 covering that year's Presidential campaign and making a trip to Cuba to report on Spanish-Cuban tensions. His reportage there earned him an expulsion order issued by the Spanish authorities. In 1897, William Randolph Hearst personally recruited Creelman as a Special Correspondent for his New York Journal at an annual salary of $8,000. Dispatched to London as the Journal's European bureau editor, he interviewed numerous statesmen and covered the Turkish-Greek War before being recalled to travel with Hearst and other Journal staff to Cuba after war with Spain was declared in 1898. In Cuba, Creelman was assigned to cover General Chaffee's regiments, joining up with the 12th Infantry during their July 1st assault on the Spanish fort at El Caney. Having scouted the surrounding terrain, Creelman suggested tactics which resulted in the seizure of the fort. He also personally captured the Spanish flag but was seriously wounded in the shoulder as he taunted the remaining Spanish soldiers with the war trophy. Hearst discovered his correspondent in a field hospital and took down his story of the battle for publication in the Journal. Creelman's relationship with his employers Bennett, Pulitzer and Hearst was, at times, stormy but each found him valuable as a writer. Hearst also took advantage of Creelman's shrewd political sense and contacts by involving him in his various political activities. They also served together on the executive committee of the National Association of Democratic Clubs organization. Creelman in his 1901 book of reminiscences On The Great Highway reported Hearst's memorable response to artist Frederic Remington, bored with his assignment in Cuba; "You furnish the pictures and I'll furnish the war" (Chapter 9). While years later Hearst strongly denied he ever said such a thing, the quote is still attributed to him and was paraphrased to great affect in Orson Well's movie Citizen Kane. After publishing another book in 1902, the novel Eagle Blood, Creelman returned to the service of Joseph Pulitzer where he remained until 1906 when he joined Pearson's Magazine as Associate Editor. There he specialized in feature interview/profiles on individuals as diverse as Edison, Roosevelt, Taft and President Diaz of Mexico. 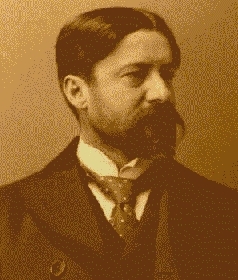 The Diaz interview (which Creelman subsequently turned into the 1912 book Diaz, Master of Mexico) has been credited with contributing to events leading to the Mexican Revolution. In 1911 a close friend, New York Mayor William J. Gaynor, appointed Creelman to the Presidency of the City's Civil Service Commission. His eighteen month tenure in that position was followed by brief stint on the City's School Board. True to character, he resigned both positions, disillusioned by his lack of independence and his inability to gain acceptance for needed reforms. January 1913 saw his return to active journalism as Associate Editor of the New York Evening Mail. The latter part of Creelman's life was plagued by ill health which frequently affected his career. His 'nervous temperament' was compounded by muscular spasms brought on by the wound received at El Caney. Like his father, he was afflicted with Bright's Disease and was also diagnosed with other health problems including heart disease and nicotine poisoning brought on by a thirty cigar a day habit. In 1914, he returned to Hearst's employment writing mainly feature articles. His last assignment was to interview leading German political figures including Kaiser Wilhelm II. He departed for Germany in January 1915 and took ill after arriving. Shortly after an operation at a Berlin clinic, he died. His last published article, an interview with the German Chancellor, appeared after his death. Creelman also carried with him to Germany a confidential message from Secretary of State William Jennings Bryan to the German Government. Creelman steadfastly believed that good newspaper reporting was a potent vehicle for social change. Like Hearst and Pulitzer, he was an unapologetic proponent of 'journalism that acts'. His vivid, personal and highly subjective writing nearly always mirrored his own beliefs and personality regardless of who he worked for and foreshadowed the style of modern investigative and interview journalists.